Perhaps you are concerned about a defect in your home? Maybe you need a list of maintenance requirements for a new property and are in need of a HomeBuyers Report? We even help with boundary disputes between you and a neighbour.  Worthing Right Surveyors offer a wide range of different building surveys and we would love to help you safely invest in your perfect home. Whatever your concerns, Richard and his team will aid you in making that important decision of whether or not the property is right for you, with their specific and specialist knowledge of Worthing and the wide West Sussex area. Is Worthing too far away? If you are just outside the Worthing area, then don’t worry, another trusted member of the Right Surveyors team may well be able to help you. The type of inspection needed varies from client to client, property to property, budget to budget. In our opinion, this means that getting advice suited to you and your property before the survey is undertaken is crucial. At Worthing Right Surveyors, Richard adapts his services and advice to you and your property’s individual needs. This survey is carried out by Worthing’s local building surveyor and takes features from the Full Building Survey, but is summarised into a smaller survey at a lower cost. This is our most popular option and has helped out a lot of property buyers. Richard has many years of surveying experience, allowing him to add a Single Fault Assessment service to his repetoire of surveys in Worthing and West Sussex. This assessment involves a building surveyor analysing a particular defect or fault in a property and providing an official letter describing the findings and suggesting a number of possible solutions.